Berkeley graduate student Finn (Winona Ryder) is spending the summer at the home of her sparring grandmother and great aunt (Oscar winners Ellen Burstyn and Anne Bancroft), where she intends to finish her latest thesis and think over a marriage proposal. As she wrestles with her decision, the women in her grandmother's quilting bee confide to her the stories of the loves that shaped their own lives. 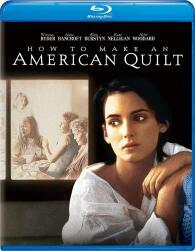 Also starring Maya Angelou, Kate Nelligan, Jean Simmons, Lois Smith and Alfre Woodard, How to Make an American Quilt is a deeply moving and funny film that celebrates following your heart.